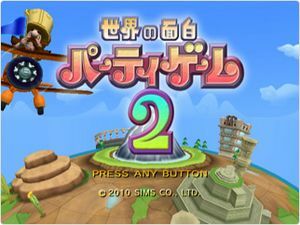 Sekai no Omoshiro Party Game 2 is a game with a distinctive motifs of the countries of the world. You can enjoy five games of fishing, bullfighter, building cleaning, explorer, astronaut. The graph below charts the compatibility with Sekai no Omoshiro Party Game 2 since Dolphin's 2.0 release, listing revisions only where a compatibility change occurred. This page was last edited on 26 January 2018, at 07:07.